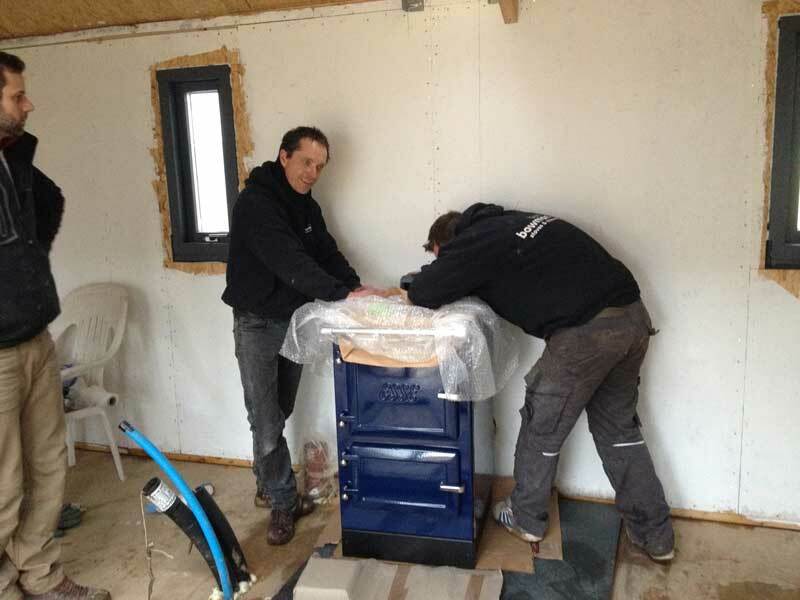 Arrival of the Esse Plus 1 which will provide heat, hot water and cooking. All in one very pretty package. 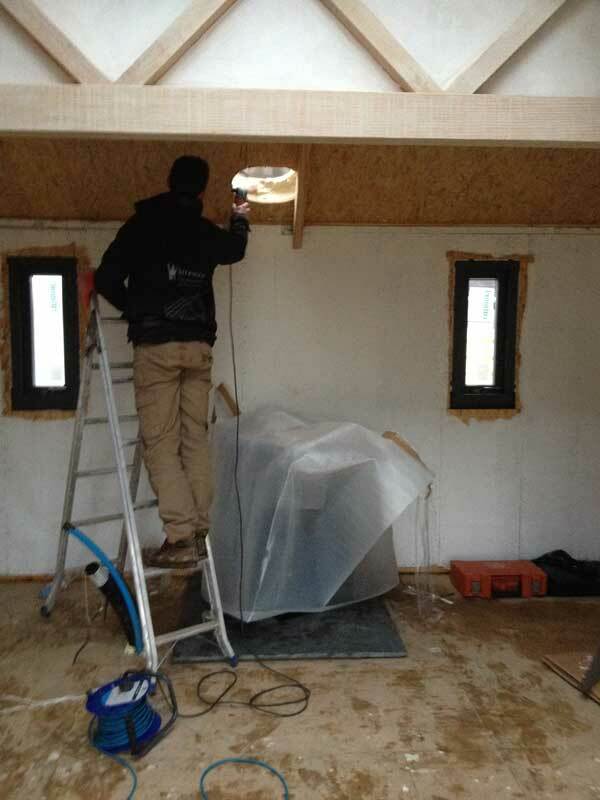 Comments on the cabin from the installers “What an amazing place! Fantastic wood frame” (pointing to the Belfast Truss) to which the other answered ” I only take you to the best places”. Everyone who sees the Cabin, loves it. 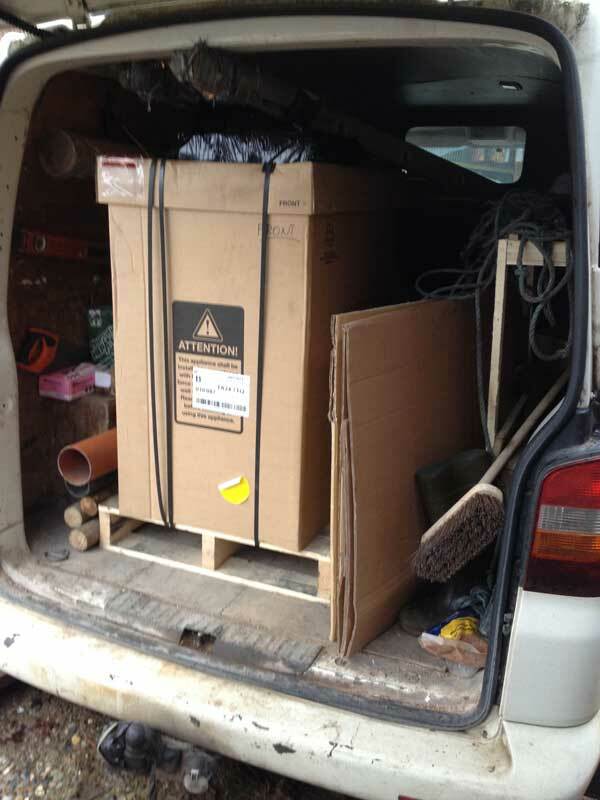 Our Log Burner/ Wood Range arrived yesterday. Small, Beautiful and VERY heavy, we rolled it into the Cabin. No photos of rolling it up the step – it was all hands on deck. 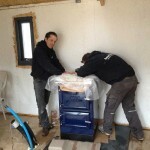 Somehow we got this into and onto the perfectly placed Hearth, no scratches to either! V V V V all the way across. Well done Mike and Leila. Did this really take 3 days? Why would you want to do that?